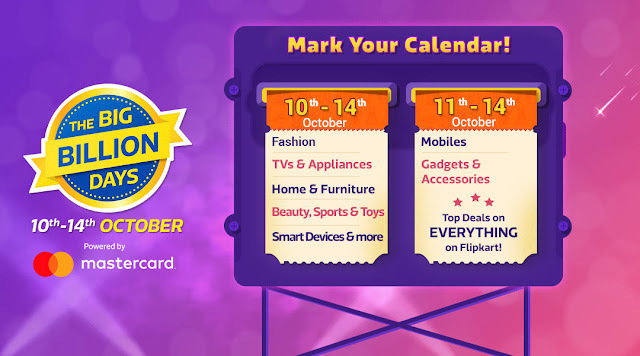 Flipkart Big Billion day sale will start on 10th October and will end on 14th October. There will be huge discounts across all popular product categories. 10% Instant Discount with HDFC Debit / Credit Cards & EMI Transactions. No Cost EMI Also Available.